Airbnb is partnering with NSW Seniors Card to encourage more card holders to participate in and benefit from the sharing economy. 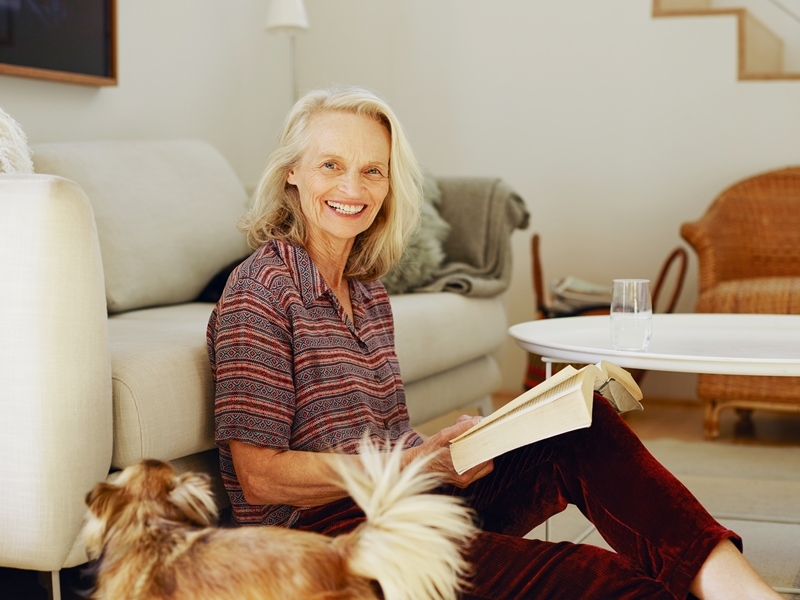 As part of the Australian-first partnership, NSW Seniors Card members can now receive a $100 cash reward when they become a new host and complete their first successful booking of three nights or more at a minimum nightly rate of $50. Card holders can receive a $20 Airbnb credit when they book as a guest for the first time on Airbnb. Becoming a host on Airbnb is great way to earn supplemental income and meet travellers from across Australia and the world. The typical Airbnb host aged over 60 in Australia earns $6,228 a year income, which for many helps pay the mortgage or bills. Important terms and conditions; new hosts are eligible for $100 cash back when they complete their first booking of three nights or more at a minimum nightly charge of $50. Qualifying participants in this offer will receive a A$100 payout (“Additional Payment”) to their Airbnb host account. Offer valid only for new Airbnb listings created in New South Wales, created by new Hosts between April 1, 2018 and October 31, 2018, 11:59:59 PM AEST (a “New Listing”). To qualify, you must (a) navigate to Airbnb by clicking on the promotion link for this offer; (b) create a New Listing priced at A$50 or more per night, excluding cleaning fees and taxes, by clicking “List Your Space” after navigating to Airbnb via the link ; (c) complete the Verified ID process; (d) accept at least one reservation for three or more nights for the New Listing priced at A$50 or more per night, excluding cleaning fees and taxes, by 30 November 2018 (a “Qualifying Reservation”); and (e) complete at least one Qualifying Reservation that begins on or prior to 31 December 2018. The New Listing must be new and not previously activated or duplicated from another Airbnb listing, and it must be associated with a Host who has never hosted on Airbnb previously. Reservations of your New Listing made by a friend, family member or any member of your household will not be counted as Qualifying Reservations and are not eligible for the Additional Payment. If you qualify for the Additional Payment, you will receive the Additional Payment no later than 31 January 2019 to the payout method set on your account. Determinations of eligibility are made in Airbnb's sole discretion. Airbnb reserves the right to any remedy, including denial of the Additional Payment or cancellation of your account or reservations, if fraud, tampering, violations of Airbnb's Terms of Service or technical errors are suspected. This offer cannot be combined with any other offer or promotion. Qualifying participants in this offer will receive A$20 (“Discount”). Offer valid only for new guests who satisfy the requirements below between April 1, 2018 and October 31, 2018, 11:59:59 PM AEST (a “New Guest”). To qualify, you must (a) navigate to Airbnb by clicking on the promotion link for this offer (“Click”), where the Click was the last action by you before you complete the remaining required transactions on Airbnb; (b) become a new, unique and verified Airbnb user who for the first time registers with Airbnb and who has not, whether under a different user account, name, aliases or in any other manner, completed the account registration process on Airbnb; (c) complete a booking of an Airbnb listing for two nights or more, including host acceptance and payment, within 28 days of the Click, and (d) not subsequently cancel the Listing booking. Reservations of a listing made by a friend, family member or any member of your household will not be counted and will not be eligible for the Discount. If you qualify for the Discount, you will receive the Discount in the form of an Airbnb electronic coupon. Determinations of eligibility are made in Airbnb's sole discretion. Airbnb reserves the right to any remedy, including denial of the Discount or cancellation of your account or reservations, if fraud, tampering, violations of Airbnb's Terms of Service or technical errors are suspected. This offer cannot be combined with any other offer or promotion.